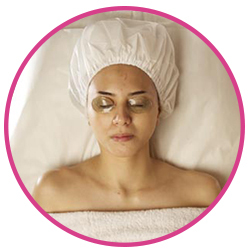 With natural collagen fibers, the skin around the eyes is hydrated and plumped. 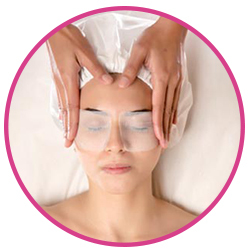 A multi-action eye mask with a light cream gel texture with hyaluronic acid and jojoba oil. It smoothens wrinkles caused by dryness and reduces dark circles and shadows around the eyes. Moisturizing hydrogel patches that rejuvenate dry skin around the eyes with an extra portion of moisture. Its active Apple stem cell also reduces wrinkles caused by dryness. A firming modelling treatment for the delicate skin in the eye zone. Spirulina extract reduces fine lines, puffiness, and dark circles and gives moisture around the eyes instantly. A premium 100% pure collagen with hydrating agent that acts on skin elasticity and tone and smoothens fine lines and wrinkles. 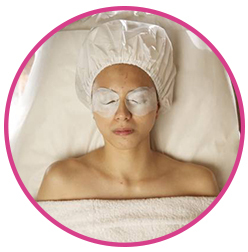 The caffeine, arnica, and green tea stimulate micro circulation and reduce the appearance of eye puffiness and dark circles, leaving the eyes dazzling with a youthful look.